The 32nd annual Oregon Mock Trial state competition was fiercely competitive this year, with eighteen high school teams traveling from as far away as Vale to hold trials at the Mark O. Hatfield Courthouse in downtown Portland. Two days and three rounds winnowed the competition down to two finalists: Lincoln High School (Portland) and West Linn High School’s Gold team. St. Mary’s Academy (Portland) came in third, and West Linn proved the strength of their program with a rare second appearance in the top four from their Green team. 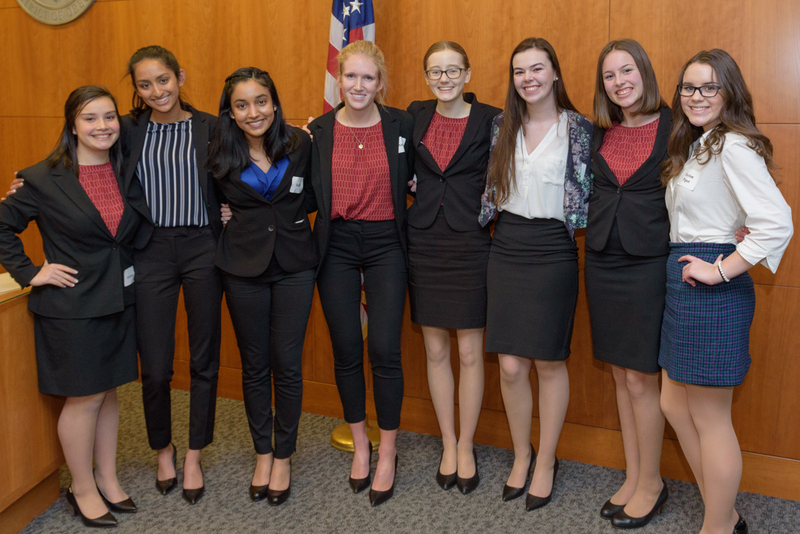 First place was decided in a winner-take-all final round, with the teams flipping a coin to decide who would represent the prosecution (Lincoln) and the defense (West Linn). 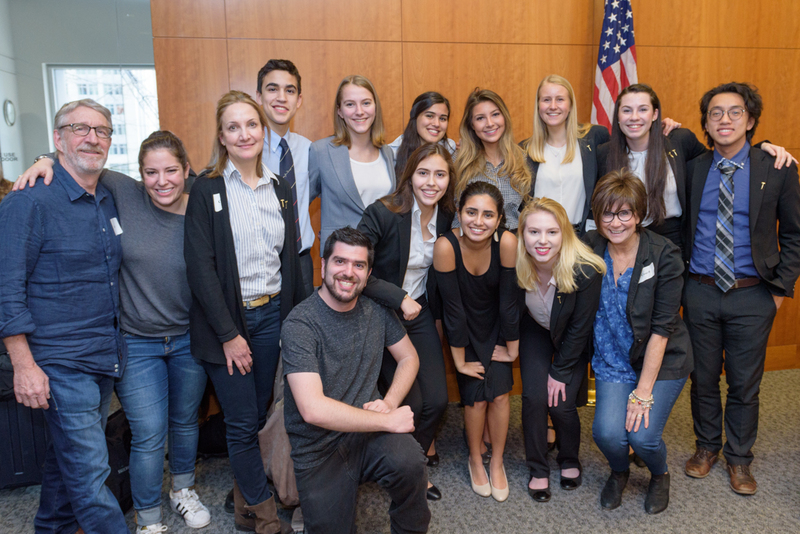 The students tried a fictional criminal case – State of Oregon v Dannie DeLuca – which deals with important issues like distracted driving and texting. After a two-hour long final trial, Lincoln was victorious, with West Linn coming in second. 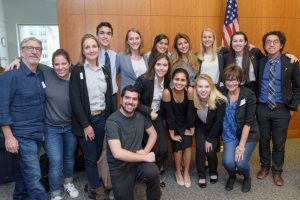 The Lincoln team will now represent Oregon at the National High School Mock Trial Competition in Reno, Nevada, May 10 – 13.